It’s easy to start predicting great things for teams who have added big-name players and have a recent history of success. Even then, a team could disappoint you due to injuries or a simple failure to live up to the hype. This season the Philadelphia Phillies and the Boston Red Sox are the teams for which you could make such rosy predictions. The A’s had a productive offseason, revamping their outfield. 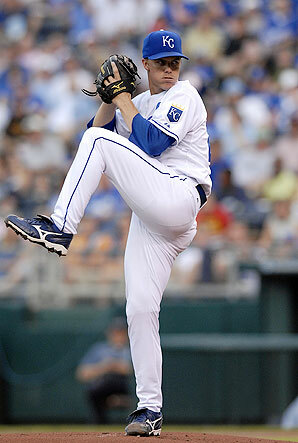 They traded for outfielders David DeJesus of the Kansas City Royals and Josh Willingham of the Washington Nationals. Both players are in similar situations, both are 31 years old and coming from teams that have been less than competitive over the past several seasons. They should still be able to put up good numbers, plus they should be motivated by a team that actually has a chance to win in the American League West. 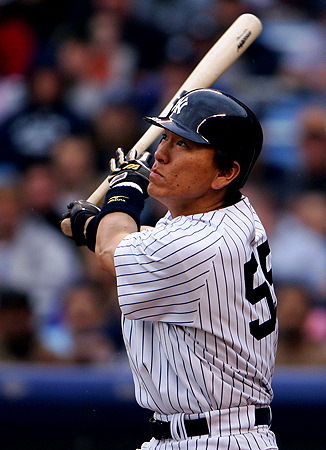 The line-up will also get a boost with veteran—and former World Series MVP—Hideki Matsui. Matsui won’t put up the numbers he put up as a New York Yankee, but he did well as an LA Angel last season, certainly better than Jack Cust, the player he replaces at designated hitter. These additions improve Oakland’s offense, which was their biggest offseason need. On the pitching side, the Athletics had the best starting-rotation ERA in the league at 3.47. That was even better than the team across the bay in San Francisco which just proved pitching wins championships. Returning to Oakland’s starting rotation are Dallas Braden, Brett Anderson, Gio Gonzalez and Trevor Cahill. Bob Geren’s club improved its bullpen, adding relievers Grant Balfour from the Tampa Bay Rays and Brian Fuentes from the Minnesota Twins. In order to make the playoffs, the Oakland A’s will need to improve their offense, maintain their pitching and hope for some regression from the Texas Rangers. All are very likely scenarios. There was no problem scoring runs in Milwaukee last season. The Brewers produced the fourth-highest run total in the National League while hitting the second-most home runs. All this happened when they had less than stellar years from stars Prince Fielder and Ryan Braun. Both players should have bounce-back seasons, while the Prince should have a monster season in hopes of getting a big contract next year. The area where the Brewers had a real problem last season was in pitching, specifically the starting rotation. They added two 2010 opening day starters via trade this offseason, Shaun Marcum of the Toronto Blue Jays and Zack Greinke of the Kansas City Royals. Marcum isn’t a number one but he will be a great number three pitcher behind Greinke and Yovani Gallardo. Greinke is only two years removed from a Cy Young season, being on a competitive team in the National League could help him improve upon the 2.16 ERA he had in 2009. Given the Brewers offense, he sould easily improve upon his career high of 16 wins. Zack should also be motivated by a change of scenery. With a monster year from Prince Fielder on the horizon, a return to Cy Young form from Zack Greinke and additional improvements to the Brewers rotation, manager Ron Roenicke can look forward to an NL Central title. If my prediction of Brewers over Red Sox in the WS pans out I stand to make some pretty big money on a prop bet. I don’t think that is as outlandish bet as the odds in Vegas probably have on it (I don’t know what the odds are, but I’m assuming a Brewers WS win is pretty long odds). I think there are only 4-5 teams in the NL that could win the WS over the AL powerhouse teams, but Greinke has to be healthy and back to his Cy Young form in order for it to happen. It’s hard to bet against the Giants in a 7-game series – it’s just having enough consistent offense to get to that 7-game series. I think Atlanta/Phillies have to be the favorites for any combination of wild card and NL East, leaving Brewers/Giants as my other NL picks with the Reds running a distant 5th. The Brewers are a good team, without question. However, I have a hard time thinking that the Reds will not win the NL Central and that the NL Wild Card will come out of the East. The A’s are very underrated though! They have a great pitching staff! I guess I just don’t understand the love for the Reds this year. It took them playing above expectation and the Cardinals playing way, way below for the Reds to make the playoffs last year and they haven’t done much to improve. Can Cueto and Volquez really stay healthy for a full season together? Which Mike Leake will show up? Does Bronson Arroyo have a 7th straight year of 200+ innings or will his arm finally give out after so much work? 150 games and ~90 RBI out of Jonny Gomes again? Way too many question marks for this Reds team in my opinion, but hell they did it last year didn’t they?